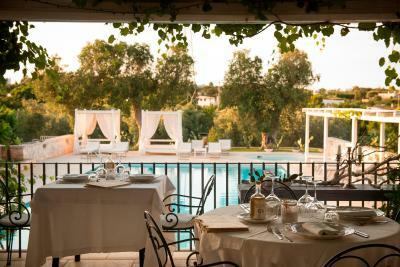 Lock in a great price for Masseria Salinola – rated 9.4 by recent guests! The food was delicious! 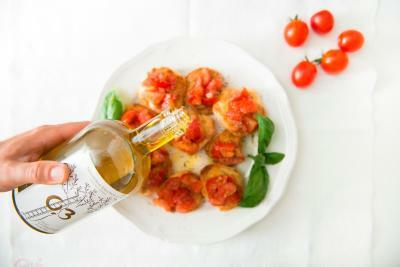 Some of the best we had in Italy! I think Danielle is the best part about this resort. He is super sweet and kind and very helpful. The property is really well made and looks pretty. Really kind and accommodating staff. The property is very pretty too. Excellent for a retreat away from the madness of city life. 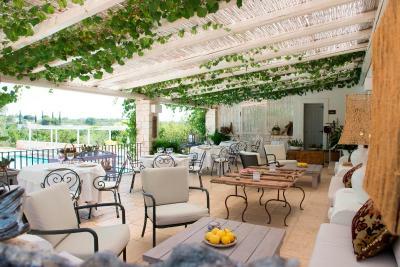 Fabulous Masseria outside Ostuni. 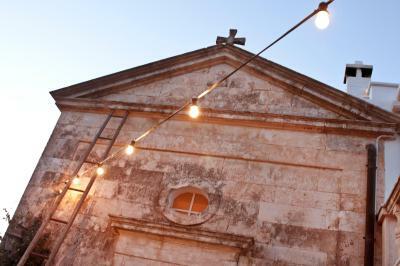 The best dining in three weeks in Italy was at Masseria Solinola. Absolutely delicious—breakfast, lunch and dinner. Great wine with great staff recommendations. 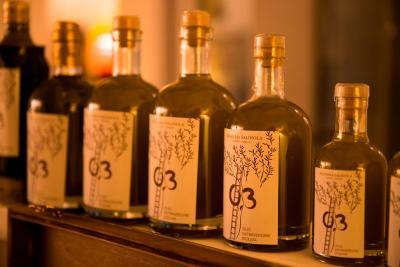 The family’s dedication to excellence is noteworthy. The staff was exceptional. You could barely drop a towel and it was replaced with a clean one. The pool, the grounds—all beautifully designed and maintained. Everywhere you look there is a point of beauty. We’ll be back. Daniele is a wonderful and welcoming host. The historical building is beautiful and the attention to detail with the decor is really impressive. The terrace overlooking the pool is lovely. The farm is akin to a mansion with a lovely patio facing the pool. The suite is beautifully decorated and i love the garden area. The food was good & Danielle the manager is a fabulous host & very helpful. The food and the atmosphere of the common rooms were wonderful, and quirkily homey, with two wood fires burning all day, a welcome touch in a week of dicey weather. 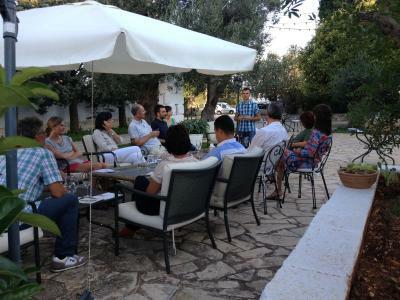 It's a family run masseria, a converted farmhouse and outdoor complex, including a pool (too cold to swim, however), and we were made to feel as if we were somehow part of the family as well. A small detail, but important to my wife, the bed linens were the most crisp and luxurious we've ever slept in. Beautiful well kept Massoria. Very private and relaxed place. Staff very kind and helpful. Danielle was the perfect host. This place is like being in a touch of heaven. We stayed in rooms 5 & 3. 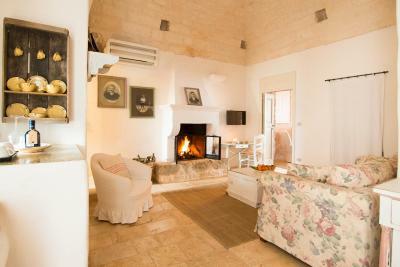 This is an upscale property that is an ideal jumping off point to visit the Trulli villages and the sea. We ate dinner here both nights and we were quite pleased with the use of local produce and the creative menus. 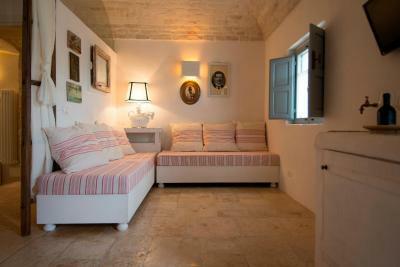 Masseria Salinola This rating is a reflection of how the property compares to the industry standard when it comes to price, facilities and services available. It's based on a self-evaluation by the property. Use this rating to help choose your stay! One of our top picks in Ostuni.Masseria Salinola dates back to the 18th century. 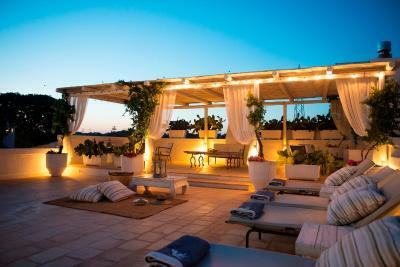 Enjoy spacious rooms and self-catering apartments in the heart of Apulia. 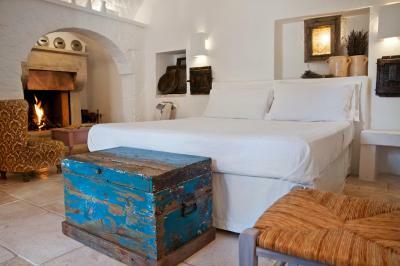 The rustic feel of the rooms provides a unique feeling. 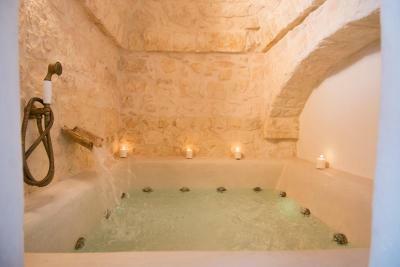 Enjoy a relaxing stay in a peaceful establishment, provided with an outdoor pool with hydromassage jets. 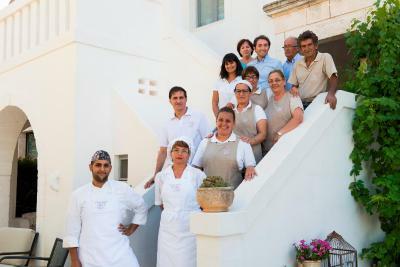 The family managing Salinola Masseria is proud to serve fresh natural products, and characteristic traditional cuisine. 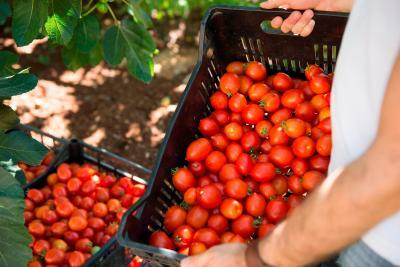 All fruit and vegetables come from the on-site organic farm. 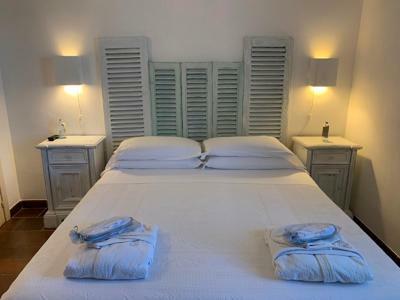 The center of Ostuni is less than 1.2 mi away, so this is a good base for visiting the stunning white town and the rest of the region, with pleasant car trips. 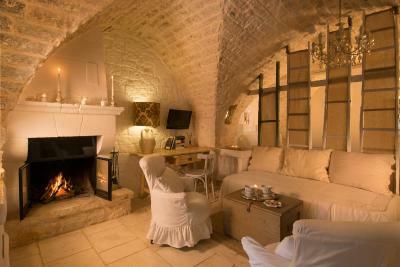 When would you like to stay at Masseria Salinola? 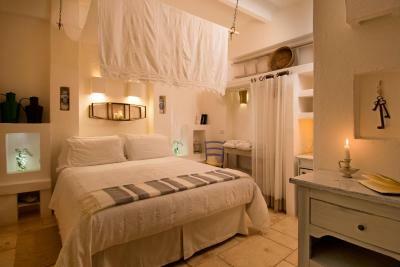 Room with attached bathroom with air conditioning, a satellite TV and fridge. 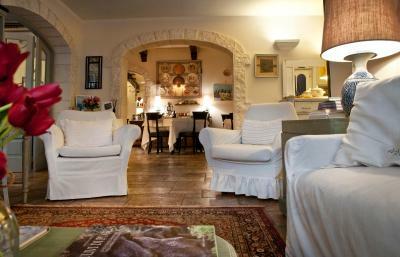 Air-conditioned apartment with a seating area, kitchenette and satellite TV. Maximum child age is 10. Maximum children age is 10. Boasting a private terrace, this air-conditioned apartment comes with a seating area, kitchenette and satellite TV. 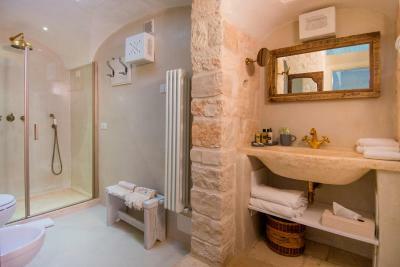 Featuring exposed stone walls, this room with attached bathroom comes with air conditioning, a satellite TV and mini-bar. This apartment has air conditioning, satellite TV and patio. This suite has a balcony and a private entrance. Has views of the property courtyard. This family room has a sofa, seating area and electric kettle. 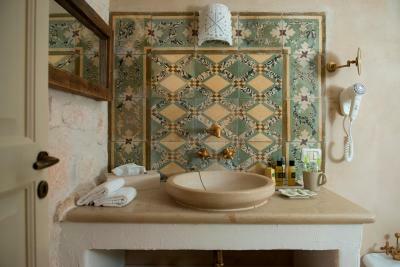 House Rules Masseria Salinola takes special requests – add in the next step! 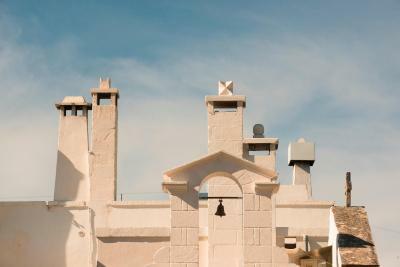 ATM card Masseria Salinola accepts these cards and reserves the right to temporarily hold an amount prior to arrival. 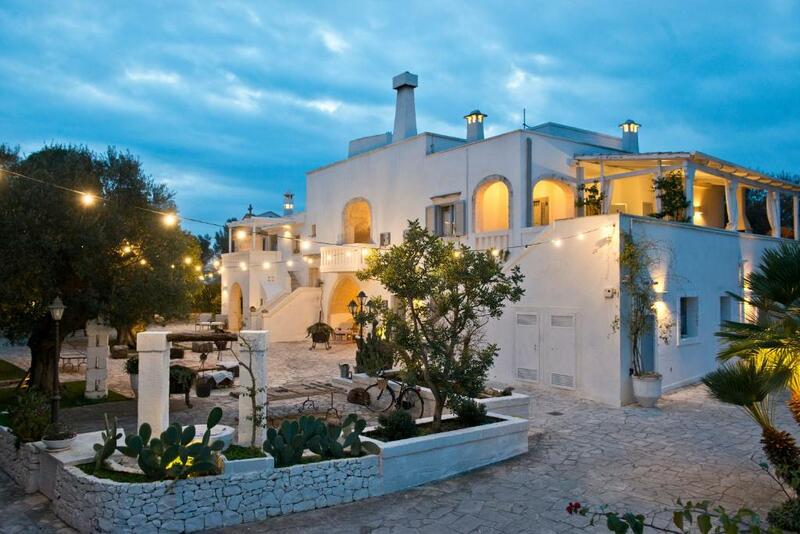 Masseria Salinola accepts these cards and reserves the right to temporarily hold an amount prior to arrival. 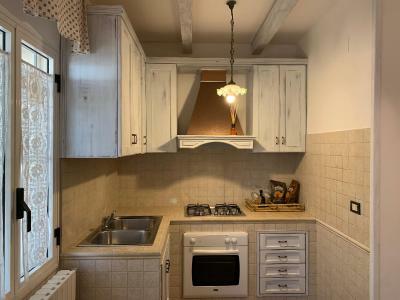 Use of the kitchenette in the apartments is subject to a surcharge. Perfect welcome perfect room service Really nice !! This isn’t a criticism but an FYI. During off-season, restaurant opens if there is demand by guests...so if you don’t tell them you are eating at the property, they may not be open. We were surprised (but it was our fault for not confirming). On the second night, they opened for us and one other family and served a wonderful family dinner. 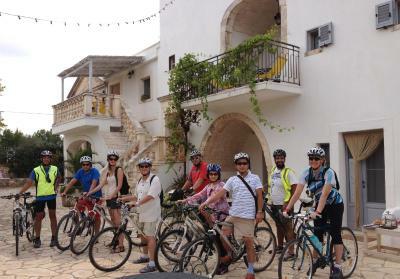 Excellent agroturismo on the outskirts of Ostunia. We were travelling with our 20 month old and he loved saying hello to the rabbits and the chickens every morning. We were there in off-season but the main dining room always had a roaring fire and the staff were friendly and courteous at all times. 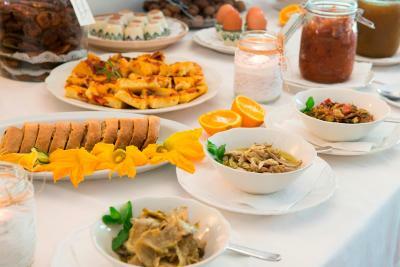 The staff were very accommodative and friendly. We rejected the room allocated to us because of the very steep staircase to the bathroom. The alternative was entirely inadequate in terms of bathroom and generally the standard was much lower than the first room offered. Breakfast is a bit disappointing but the staff will do their best to accommodate your requests and fix anything! Very comfortable room. GREAT breakfast, great pool. Dining area on the terrace was lovely and the staff so helpful. 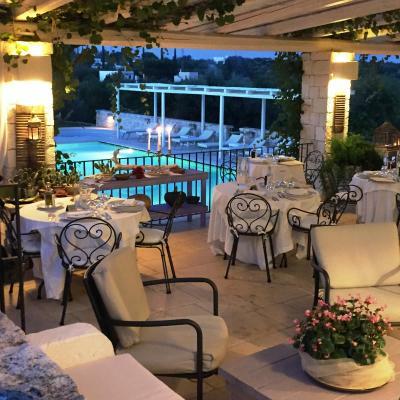 For the price would have expected extra staff for lunch time as when one customer was being attended to others were ignored (especially as paying cover charge to eat lunch in your own Masseria). Otherwise no negatives. Stylish, beautiful, luxury. 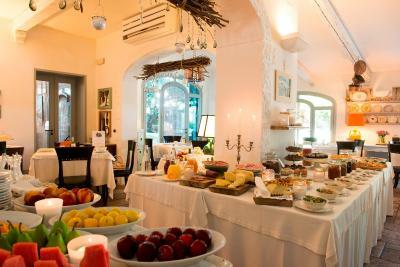 Gorgeous breakfast (although bread could be more varied but that’s a small point), lovely pool area and orchard, lots of chill areas lots of fairy lights. Lovely owner and manager. Very calm. Bedroom service excellent and little touches very special. Design brilliant. 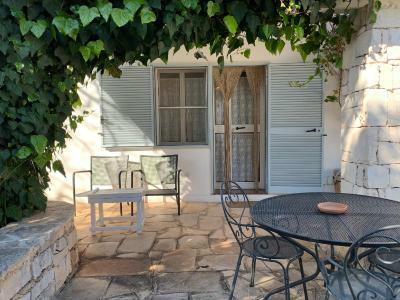 Great location because it feels secluded but you’re only a 5 minute drive into Ostuni centre (which is amazing). We could not fault the property. 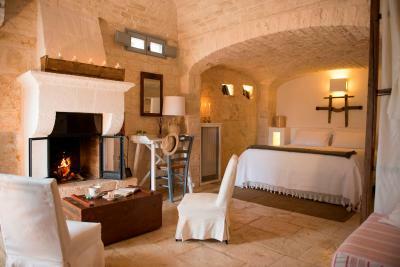 We were wanting to experience a Masseria and would say we chose the right one! Pure luxury. Beds and pillow amazing ( we had just stayed in a few places prior with uncomfortable bedding so this was perfect ) The pool area was superb. Very relaxing and beautiful. 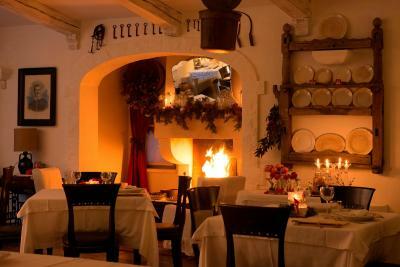 At night the fire lighting and candle gave a magical feel. 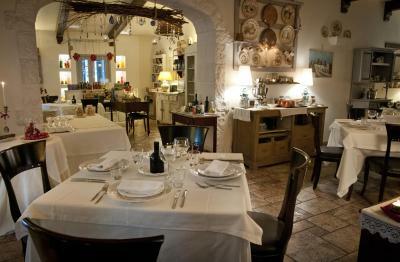 The food was simply amazing, and good selection of wine. 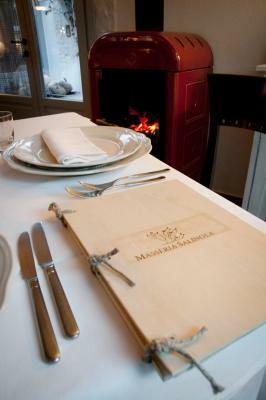 We had eaten at very good restaurants on this trip, and the food here was simply perfect. We asked for an omelette for breakfast and nothing was a problem! 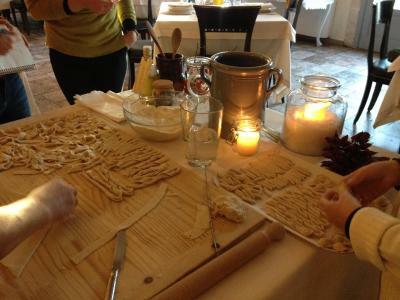 One thing we wished we had realised in advance was the cooking classes. We did not manage to fit this in, but other we spoke that had, and loved it. The Nona is an amazing cook. Would recommend for a few nights to be able gain fully experience.